Rangefinders have revolutionized many sports including golf. The best golf rangefinders have earned their place in the sport by first, eliminating the caddie with the yardage book, and secondly, phasing out the need to depend on yardage markers and other landmarks. 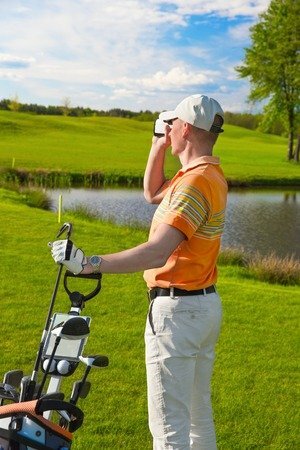 Nowadays, it’s unlikely for many to be without a golf rangefinder when taking on the course, either professionally or leisurely. If you’re reading this review, it’s obvious you don’t want to be caught empty handed, or worse, asking your buddy to pull a distance reading for you… every hole. You definitely don’t want to be “that” guy. To help you decide which is the ultimate device for your needs, we have reviewed the top golf rangefinders of 2018 both with and without slope. Which Rangefinder is Best for You? 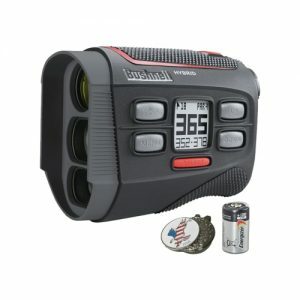 Bushnell takes top spot in this category with their new and improved version of the Tour series rangefinders. The Tour V4 is your ultimate, tournament-worthy laser device that can range out to a mouth-gaping 1000 yards! Don’t be fooled into thinking it won’t be accurate that far out. With PinSeeker Technology under its belt, you’ll be accurate to within -/+ 1 yard! You won’t have to wonder if your unit is on target either since this affordable golf scope is clad with Jolt Technology to literally vibrate when it’s locked onto its target! However, if you’re ranging out to the hole, the unit will lock in to 400 yards, plus some! It has 5X magnification with fast focus lens to allow you to see the green clearer than ever and with more stability than before. Speaking of stability, the unit sports an ergonomic design with Stabi-Grip Technology and multi-coated lens to ensure your shaking hands won’t interfere with your view. If you can’t help but feel the void of no slope compensation, the V4 still has you covered. The best-selling Tour V4 Slope model has the angle compensating mode to get you distances despite the inclines or drops that can affect your stroke. And, because it’s Bushnell, you know it’ll be priced just right! 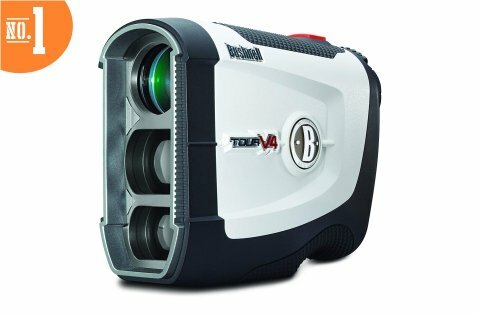 The VPRO500 is definitely not new, but it’s more than earned its honored reputation as it’s the best selling golf rangefinder you’ll find for 2018! The masses have spoken and our experts concur! Although this particular model doesn’t sport the slope measuring feature (the VPRO500S does), it excels in every aspect it does have. Take for example its multi-lens diopter adjustment that cuts out the blur and fuzz of measuring long distances. It provides for an even clearer and brighter view regardless if you’re near or far-sighted! Being able to measure out past 500 yards, the advanced Pinsensor can lock onto targets to within +/- 1 yard to give you unwavering confidence of accuracy whether you’re pointing at the hole, trees, or hazards! As a time-honored model for TecTecTec, it’s proven to be worth the small investment as it performs far beyond its price range. However, if you did want a waterproof unit with 60 yards more measuring distance, the new TecTecTec VPRODLX might peak your interests. But, there’s a classic feel about the small and compact VPRO500 even though it sports some ultra-new technology. Better yet, it’s tournament legal, comes with a 2-year warranty, and a few extra freebies to make it extremely portable and convenient to use. Trust the golfing pros when they say the Tec Tec Tec is exactly what you need for today’s highly competitive sport. This baby is the most popular golf rangefinder this year for a reason! Looking for a compact Nikon? You’ve found it. 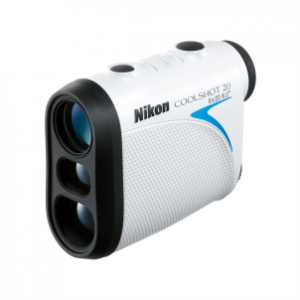 The COOLSHOT 20 is the smallest and lightest rangefinder they offer. It’s inconspicuous, easy to use, and simple. Its ridiculously low-maintenance interface is exactly what golfers like about the 20. Just point and aim. There’s no need to worry about being in the right mode, whether it’s going to pulse or not, or if you’re off by 1/10 of a yard. Just give in to simplicity and get back to the game at hand. The COOLSHOT 20 provides measurements in 1-yard increments, can range up to 500 yards and 250 to the flag, and it’s budget-friendly. It won’t break the bank to land this entry-level gadget, but it might help you break 80. It has a proven track record, just ask any of the hundreds of users on the green for proof. And, with its long eye relief, you can bet you can keep your specs on too. Don’t be afraid to go the cheaper route, you might be pleasantly surprised to find that it does exactly what it’s supposed to do! It’s new, it’s feature-packed, and it’s cheaper than ever! 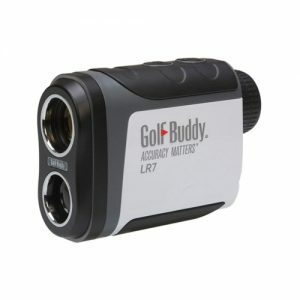 The GolfBuddy LR7 has four whopping targeting modes to offer the avid golfer: Standard, Scan, Pin, and Pin Finder. You’ll never be without an accurate distance ever again, even on tournament day. With thousands of actuations available at your fingertips, you’ll confidently play round after round without having to rush through the course or worry about it dying on you. The LR7 has your back – and the front and center, too. It’s small, compact, and lightweight. You can adjust the diopter, go between yards and meters, and it’s water resistant for those accidental splashes. It comes with a boat-load of accessories, and a 1-year warranty that Golfbuddy will make good on if you ever have the need. To find out how you can make the Golfbuddy your best buddy for the next round, check it out here! Do you want the kind of rangefinder that can change the way you play golf? Are you tired of switching out devices for practice, recreational, and tournament games? The Coolshot Pro Stabilized will forever change the way you see the much-loved sport. Instantaneous distances, slope measurements, and stabilized images are just a few features to expect. What about tournament play? ID technology can be turned off. How will everyone else know you’re not cheating? The rangefinder has an external green LED light thanks to the Actual Distance Indicator that flashes for everyone to see. Green light means good to go – distance only up in here! For a device that has it all, it’s going to cost double what everyone else is sporting on the green. Is it worth it? 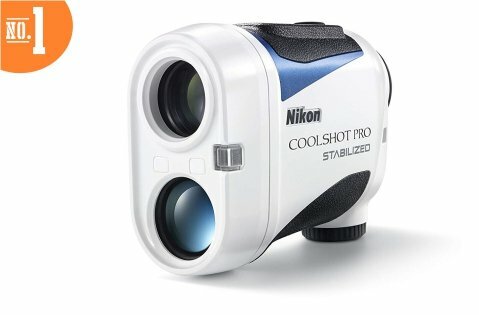 We think it’s the best laser rangefinder Nikon has put out in the market to date – it’s that good. Don’t settle for mediocre, settle for the best to be the best. On a budget, but you still want the best? Quit Googling for mediocre rangefinders in the market and check out what Precision Golf has to offer. The NX7 Pro has value and high performance all in one. You’ll have slope measurements when you need it most, and with your handicap, we know you need it. But, are you heading for a tournament in a few weeks? No problem. You can turn slope mode off and be in compliance with USGA regulations. With a press of a switch, you’re back in distance only mode and playing amongst the best to make a name for yourself. The NX7 will vibrate, lock-on, and measure at instantaneous speed. What will it cost ya? Well, it won’t cost a fortune if that’s what you’re worried about. It’s in the low-price class offering tons of value for the tech you’re landing. TAG, pulse vibration, and slope mode allows you to get any distance you’ll ever need on the green out to 400 yards. However, you are warned, this is not like any other rangefinder out there. Curious? You’ll have to read our full review to get the deets. We’ll tell you how the NX7 Pro is superior and easier to use than any other device you’ve tried! 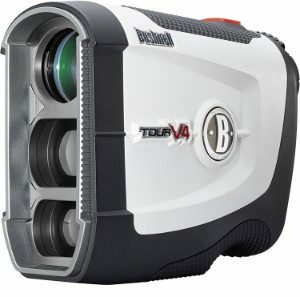 If you want the creme de la creme of tournament legal rangefinders – that also has slope, then Bushnell pleases once again. 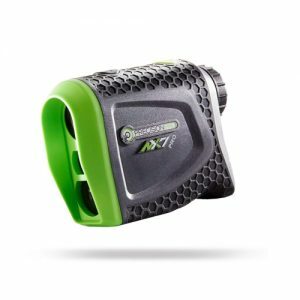 The Pro X2 is the combination of everything you want in a basic and premium laser rangefinder that you can use in the tournaments. 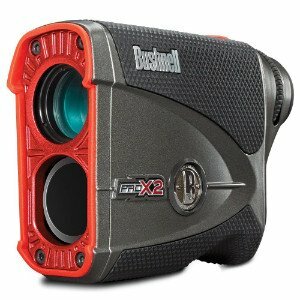 For starters, it has Bushnell’s upgrade from the Tour X that allowed you to use two different faceplates for play. The red faceplate features Slope Compensation for when you’re hitting the practice rounds. This feature, as previously stated, is an illegal feature. Simple fix – leave the red faceplate at home on the big day! Insert the black faceplate, and voila, you’re tournie legal! The PRO X2 now has a switch on the side of it to toggle the slope feature on and off. The other features that put this laser at the top of the game is the Dual Display Technology that allows you to toggle between an LCD and LED display depending on the lighting conditions, and of course, your preferences. Since this is Bushnell’s best, it has the latest E.S.P. 2 (Extreme. Speed. Precision. ), half yard accuracy, HD optics, and the easily-lovable PinSeeker Technology with Jolt. It is also waterproof! Although that was a mouth full, it’s everything that proves it’s the top legal rangefinder you’ll find. Trust Leupold to come out with a brand spanking new golf yardage scope that’s been beefed up with steroids to look like something out of a sci-fi flick! You can tell by the rugged texture of the unit that it’s going to be grippy and stable to use without chance of slipping even if you’re wearing gloves! Forget about using a prop with this scope. It’s incredibly stable as it ranges out to increased accuracy to the nearest 1/10 of a yard! The True Golf Range and Club Selector functions bans it from tournament use. However, unlike past models where you were forced to leave the unit behind in the car, this 2017 model has the option to disable these awesome features to make it a legal unit during play. Now, that’s a win-win kinda situation! It’s not like Leupold to only dish out one new entree at a time. They’ve also released two other new golf distance finders that are making a name for themselves as some of the best selling units of 2018! The Leupold GX-1i3 and the Leupold GX-2i3 are both new have been upgraded with Leupold’s latest technology. For a simpler unit, the GX-1i3 is fully waterproof with DNA, Fog Mode, and PinHunter laser technology. The GX-2i3 goes a step further and includes a Club Selector function. But, the GX-5i3 eats up both units and sports it all! That’s why it has a heftier price tag to accommodate for its gluttonous nature. It’s a good feeling to feel sated, isn’t it? When considering whether to purchase a rangefinder with or without slope, you need to consider whether you want a device that is legal for tournament play or not. 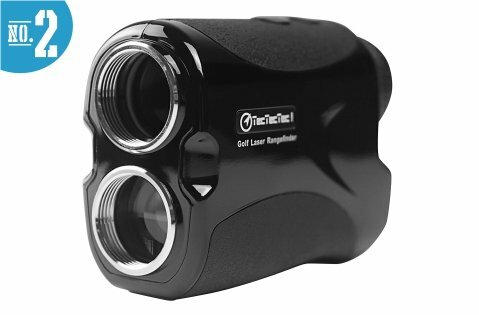 Tournament play comes down to needing accurate distances, and laser rangefinders are notorious for their precision. Since GPS devices are only accurate to within four yards and we want the best of the best for tournament play, which means being critical and petty about the slightest flaws, the laser rangefinders will be the show-stoppers for this category. So, if it’s likely that you’ll want to use a rangefinder during tournament game play, then you’ll definitely need to know what the rules are before you even step foot onto the course. Having an “illegal” rangefinder can disqualify you, even if you’re not using the fancy features. What Makes for a ‘Tournament Legal’ Device? The USGA states in Rule 14-3 that you can use a measuring device during tournament game play, if it’s allowed by local rules first. Now, here’s the nitty gritty. A legal rangefinder has the most basic feature – measuring distance only, no slope compensation. But just because it’s “legal” or basic in measuring function, it doesn’t mean it can’t be an exceptional device. 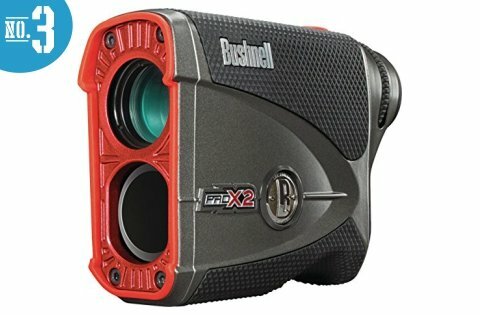 A tournament legal rangefinder should have pin seeking features that can not only find and zero into the flag, but should be able to do it fast, like instantaneous kind of fast. It should also be hair-splittingly accurate. You don’t want any room for error or it could cost you the par. In the end, all those basic features of a tournament legal rangefinder should be working at superior performance to get you tournament worthy. What are the Disqualifying Features? The rest of the jargon and lengthy word count of the 14-3 rule is pretty much for all the “Do Nots”. 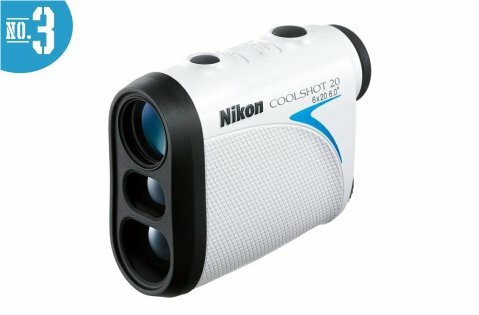 The disqualifying features of a non-tournament legal rangefinder are slope compensation, club selection, measuring distance between two points that involves slope or other conditions that can affect the short distance, and any measuring feature that affects play like a barometer, temperature, etc. Now that’s a way to take the fun out of a rangefinder, right? Well, if you’re not in it for the tours, then having a decked-out rangefinder with all the latest features isn’t going to affect you one bit. But, if you’ve grown accustomed to all those features during practice rounds, you can’t have it anywhere near you while competing. All of its fancy features are useless while it sits in the hot, stuffy front seat of your car. But if you want the best of both worlds, some manufacturers have found a way around choosing one or the other to still appeal to both tournament legal and non-tournament playing crowds. For example, Bushnell with their Pro X2 and Leupold with the GX-5i3 can be classified as both tournament legal and non-tournament legal depending on the faceplate used. That is, they can be operated both with and without slope. Plus an update to rule 14-3 in 2016 means that you will only be penalized if you actually use the information that breaches this rule, rather than just because your device has those features. 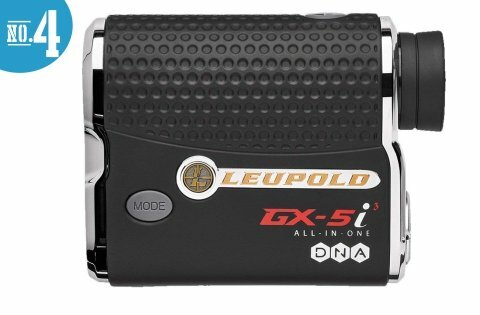 If you want to step your game up from amateur to pro, you would be best choosing from one of the rangefinders that don’t have slope or other disqualifying features. If being tournament legal is not important to you, why not choose the ultimate golf rangefinder with slope to really up your game? 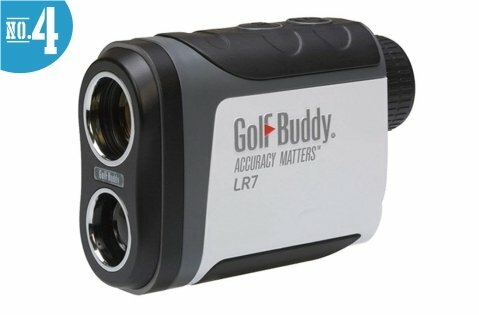 Laser Rangefinder vs GPS for Golf? Since we are comparing all of your options here, there is another type of golf measuring devices that needs to be considered, the Golf GPS. It’s a much discussed and debated topic as to which type is the best golf distance finder, laser or GPS, and the race between the two is reasonably competitive. In the end, it seems the deciding factor just comes down to personal preference, but here is a run-down of each type of distance finder to help you decide. 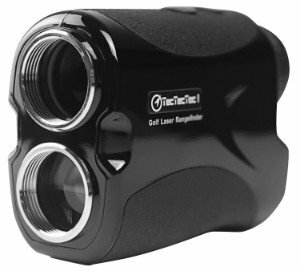 The laser units are handheld devices that emit invisible wavelength light and are often considered the top golf rangefinders. An internal clock times how long it takes for the reflected light to return back to the unit. The result is converted to distance. 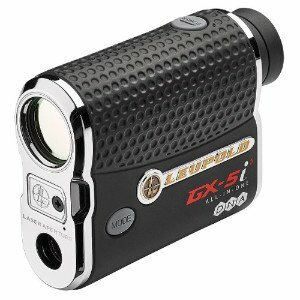 Golf laser distance scopes typically have the vertical handheld style construction, but you can also find them with a pistol-like design. You have the flexibility to range to any target and get distances yourself, within, give or take, one yard accuracy with most conventional laser rangefinders. They’re very easy to use: just line up the flagstick in the viewfinder crosshairs and shoot. The battery life is so much longer than a GPS one, so you can definitely count on your laser lasting several rounds. You don’t ever have to pay any sort of membership fee to use a laser rangefinder, and you also don’t have to deal with downloading maps or the like. These on the other hand, use satellite signals to first determine what course you’re playing at. They’re preloaded with thousands of golf courses around the country, and even the world. Additionally, you may need to pay an annual fee or membership fee to be able to access, download, and update these maps. 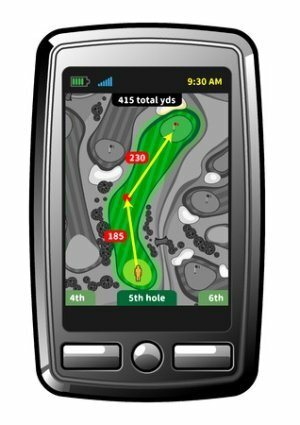 Secondly, the GPS devices take out all the aiming and measuring work by giving you an updated distance to the hole from anywhere on the tee you’re standing. GPS devices also have more features and functions than what a laser unit can offer. They’re usually very small, handheld devices that you’d just stow away in a pocket or clip to your belt. You also have the wearability factor if you wanted a GPS golf watch. Touchscreen GPS rangefinders are also gaining popularity. Although it does take more set up time and device “learning” to get started, once that’s all done, it’s very easy to use. 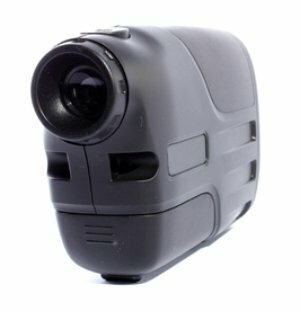 Having trouble deciding between a rangefinder or a GPS unit? Torn between the two? Bushnell has the solution. It’s a rangefinder, it’s a GPS, yes, it’s a Hybrid. 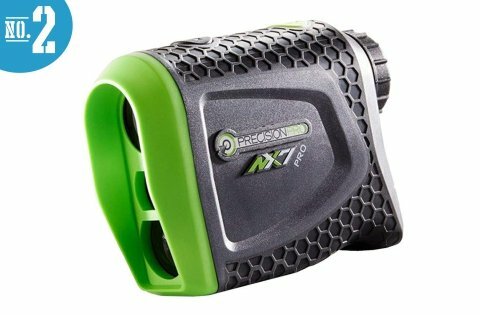 This is the world’s first laser rangefinder and GPS handheld golf device in one, and that’s a mouthful. But, at least it’s easier to use than its tongue twister name. We can just call it the Hybrid. You have GPS for those blind spots or for no-fuss distances when you just want to move on with the game. The laser rangefinder not only provides distances, but it also has Pin Seeker technology and Jolt to make sure you’re locked on the target and you feel the vibes. It runs off its own battery, so you know you’re not messing with the GPS power source. The Hybrid wouldn’t be a technological gadget if it didn’t have Bluetooth connectivity to make downloading course updates easier than ever. Charging time for the GPS is less than three hours. The device is armored and textured. Shockproof. Accurate. Fast. Should we go on and on? Not here. We’ve already done that in the full review! If you have been reading all of the golf laser rangefinder reviews there are to read, then you’re definitely big on wanting to be informed as possible. Besides, when shopping for your next toy or tool, depending on how serious you are, you want to make sure that you’re getting your money’s worth, or even better, more than what you paid for it. Before spending any amount of your precious pennies, you want to know what to specifically look for so that you can be sure to get the best golf rangefinder for the money that you invest. Weigh these factors against each other and determine what’s more important to you. Is it worth more to pay extra for slope compensation if you’ll really never use it? Does accuracy mean more to you than any upgrade or feature? Does brand name have something to do with how happy you’ll be with the device? Laser distance finders tend to be preferred over the GPS units, for now, but it’s a very tight competition between the two. They last longer than a GPS, they’re versatile, and they’re also more accurate. But there are benefits of the GPS devices if you wanted to explore that world too. If so, you can check out our pick of the best Golf GPS units here. Which is the Best Golf Rangefinder for You? The beauty of rangefinders is that they can appeal to all skill levels of all types of players who share their passion of golf. Knowing which one is right for you can depend on a lot of factors. Do you plan to play in tournaments? Do you play leisurely at the same course all the time? Do you travel the world to best the courses that are foreign to you? 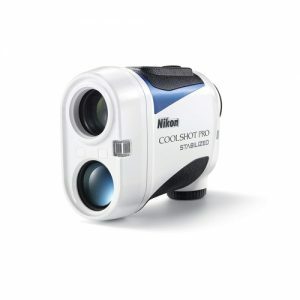 Although I can’t tell you which one will change your golfing experience to the heights that you’ve never reached before, I can point you in the right direction to which of these top rated golf rangefinders can suit your needs and budget right now. If you’re just starting out to golf or to rangefinders in general, you’re going to want a basic and entry level unit that’ll get you what you’re looking for – the distance to the hole. There’s no need to have every feature available at this point. As a novice, you want to learn the game and master target acquisition. 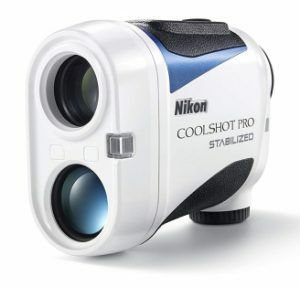 These rangefinders are also great even if you’re a seasoned player just looking for a casual round. But, if you consider yourself a little more adept at the game, a mid level rangefinder is the way to go. Check out the section below for a recap on those. Mid level devices completely satisfy almost all golfers needs. You have basic measuring distance as well as a feature or two, say, slope compensation and a few more hundred yards to range out. Note here that a mid level laser rangefinder is typically better in durability and cutting through bad weather to still acquire a range. But, then there’s always people that want the best and no price can deter them. If you’re a pro, a serious player, or you simply enjoy having all there is to have in a pocket-sized device, then the premium rangefinders are definitely not off-limits to you. It might take a little bit more “learning” to comfortably get used to using the device, because it’s equipped with much more than a standard unit. But, once you’ve mastered the learning process and have grown accustomed to premium-level rangefinders, you’ll probably never look back to another device again. You should remember though, that high-tech golf rangefinders tend to be non-tournament legal, so you can’t play with it in the tournaments. However, you can shop among the units that have the interchangeable faceplate to change that illegal status to legal when you want it to be. With a savvy rangefinder in hand, you’ll have that satisfaction. If it gets annoying to be asked that every hole, throw them this way, to a rangefinder review that can educate them. Or, you could just pretend yours doesn’t work. The bottom line is, there’s a rangefinder for everybody, and if you find you’re ready to evolve, you can always come back to see what’s next in store for you.